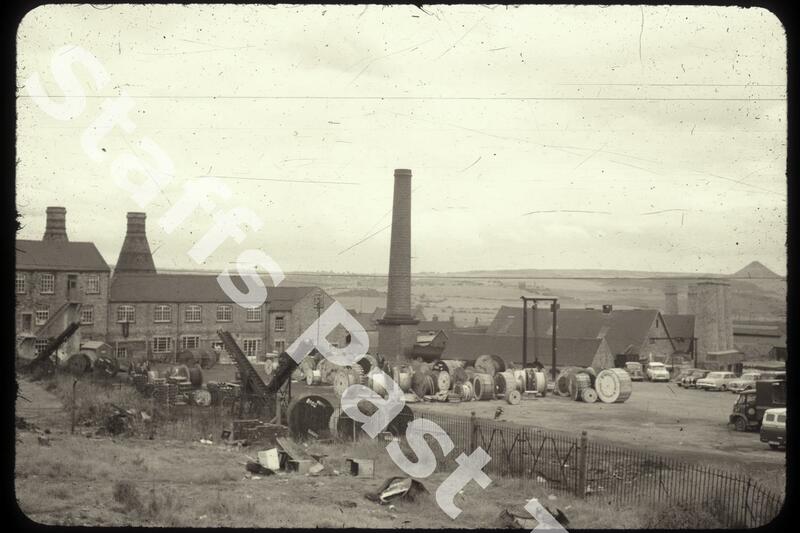 Description:The Eastwood Sanitary Works (George Howson's) viewed from the bottom of Paxton Street in Hanley. 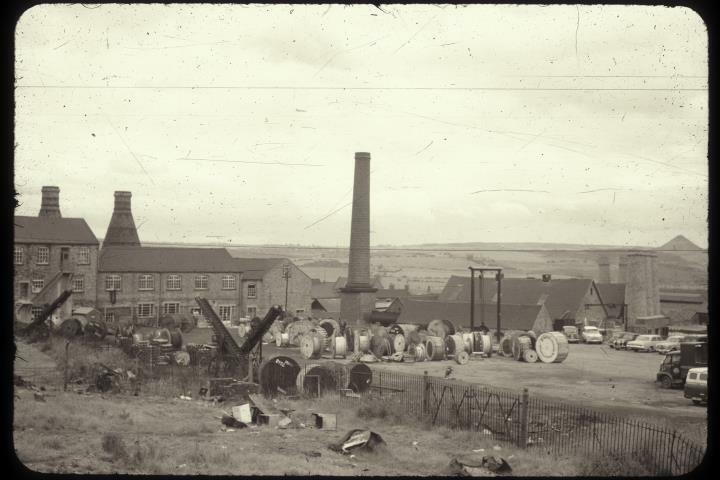 In the far distance on the right hand edge of the photograph is the spoil tip of Mossfield Colliery. Lichfield Street runs behind the buildings in the foreground. The camera is looking south eastwards.